Hilf & Hilf, PLC provides top caliber legal representation for those in the Metro Detroit area who have been charged with DUI and other criminal traffic charges. Everyday the attorneys at Hilf & Hilf, PLC successfully fight criminal traffic offenses in Michigan courtrooms. By retaining Hilf & Hilf, PLC, you can be assured your voice will be heard and your defense will be presented. As a leading metro Detroit DUI lawyer, Daniel Hilf is your go to lawyer. You need an experienced lawyer to guide you through your case because criminal traffic offenses (such as a DUI or DWI) can result in a wide range of penalties, including jail time, steep fines, loss of driver’s license, probation, and seizure of property. 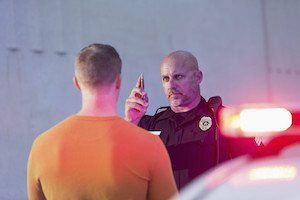 We can help you protect your rights and work tirelessly to help you resolve your traffic offense in the best possible manner. Call Hilf & Hilf today for powerful metro Detroit legal representation.